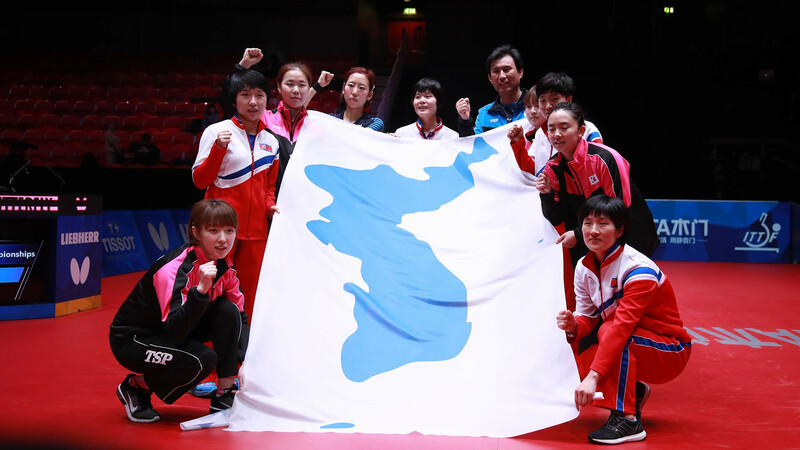 (July 16) – North and South Korea are to join forces again and compete together at the International Table Tennis Federation (ITTF) Shinhan Korea Open. The two Koreas have announced they will come together to form unified teams for the men’s, women’s and mixed doubles competitions at the Platinum World Tour event in Daejeon, where qualifying is set to start tomorrow before the main tournament begins on Thursday (July 19) and conclude on Sunday (July 22). It will be the latest in a long series of events this year at which the Koreas have come together through sport. At the 2018 Winter Olympics in Pyeongchang the two nations formed a joint women’s ice hockey team, while the Daejeon event will be the second time in three months that the Koreas have played together in table tennis. Their women’s teams refused to play against each other at the World Team Championships in Halmstad back in May, so formed a joint team for the semi-finals instead. They also met for a special table tennis competition in Lausanne last month to celebrate Olympic Day. On top of that, both sides have agreed to come together in three sports at next month’s Asian Games in Indonesia, dragon boat racing, lightweight rowing and women’s basketball. ITTF President Thomas Weikert claimed they are “proud” to support their unification once again. 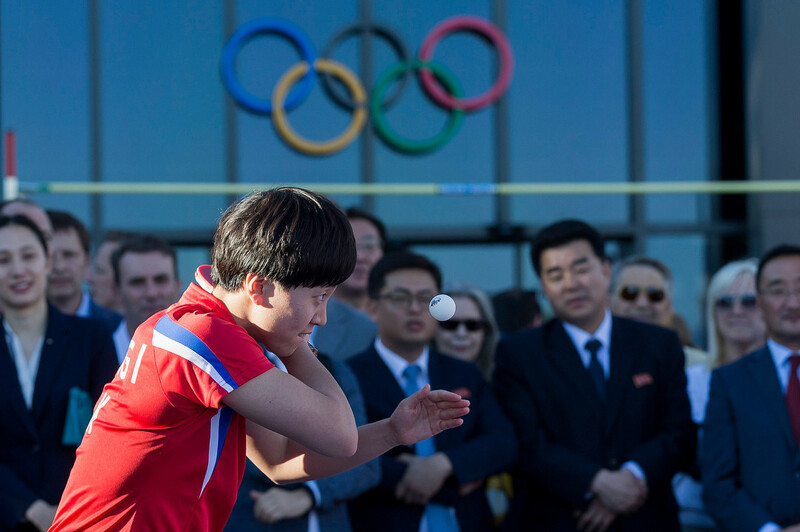 “Table tennis has had a long history as a driver of peace, and we are happy to open a new chapter of table tennis diplomacy to promote peace on the Korean Peninsula,” he said. South Korea’s Lee Sang-su will partner the North’s Pak Shin-hyok in the men’s doubles in Daejeon, while in the women’s doubles, the South’s Seo Hyo-won will team up with North Korea’s Rio 2016 bronze medallist Kim Song-i. Jang Woo-jin from South Korea, winner of the men’s doubles last year, will partner North Korea’s Cha Hyo-sim, while Yoo Eun-chong will join Pak Shin-hyok. Woo-jin and Jeong Sang-eun are the only Korean defending champions, from last year’s men’s doubles. The 2017 Korea Open saw Germany’s Shan Xiaona and Petrissa Solja take the women’s doubles.